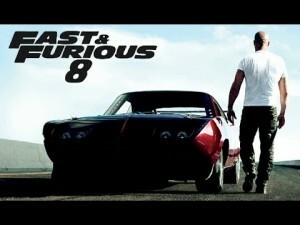 Looking for an excellent opportunity to act in the eighth installment of the famous movie franchise “Fast and Furious”? Then you might get lucky this time! LA based casting agency ‘Christopher Gray Casting’ is auditioning for background extras to work in the upcoming “Fast and Furious 8”. Casting directors are hiring extras to play the roles of military / CIA agents. Filming of this special featured role is scheduled to be done from 24th May to 4th June in Atlanta, Georgia. Fast and Furious 8 is the upcoming eighth part of the famous ‘Fast and Furious’ franchise. It will be directed by F. Gary Gray who has also directed “Straight Outta Compton”. The earlier seven movies were shot in the locales of Los Angeles, Miami, Tokyo, Panama, Brazil, London and again Los Angeles. Rumors had it that the next destination of the ‘Fast and Furious’ series will be New York City. ‘Fast and Furious’ star ‘Vin Diesel’ also announced that the filming is decided to take place in New York, when he appeared on ‘The Tonight Show’. Now it has been finalized that the eighth edition of the movie will be set in the Big Apple. If you want to audition for a role in fast and furious 8, then read on for details below. Looks: CIA agent / military type looks. Applicants should be clean shaven having a professional look. Where to send the submissions? Don’t forget to mention the subject ‘CIA TYPE’ which is the post you are applying for, in the subject line of the email. What to include in the application? One should be a headshot, second full profile and third should be a side profile. Note: Your pictures should be professional and clear. Plus you should have a clean shave and formal look in the pictures just like military men. If you are the perfect military or CIA agent type then special auditions are happening right now for you! It will be superb for the casting directors if you can send your pictures today and if you are available on the dates 24th May to 4th June in Atlanta, Georgia. So, attend the auditions as you might get a chance to be a part of the hit movie franchise. Also do not apply if you do not fit the requirements that the makers are looking for.